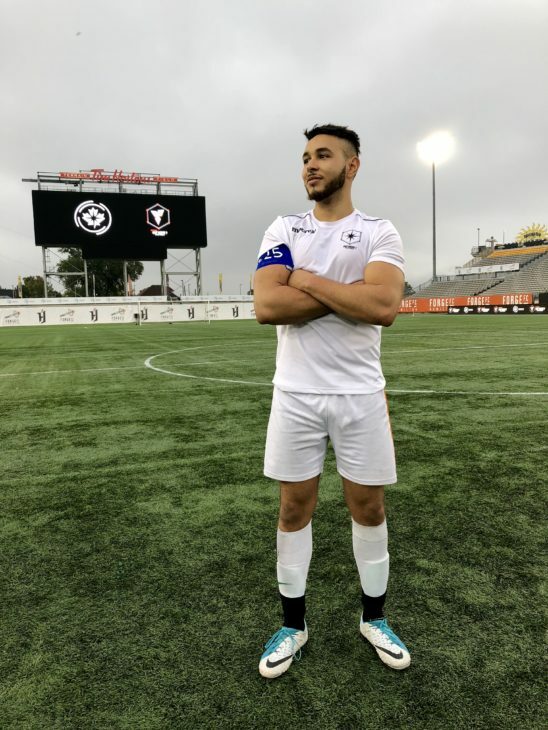 TORONTO — As fog and mist and autumn temperatures descended on Hamilton Tuesday night, Taha Ilyass stood alone, under the flood lights, at Forge FC’s Tim Hortons Field. 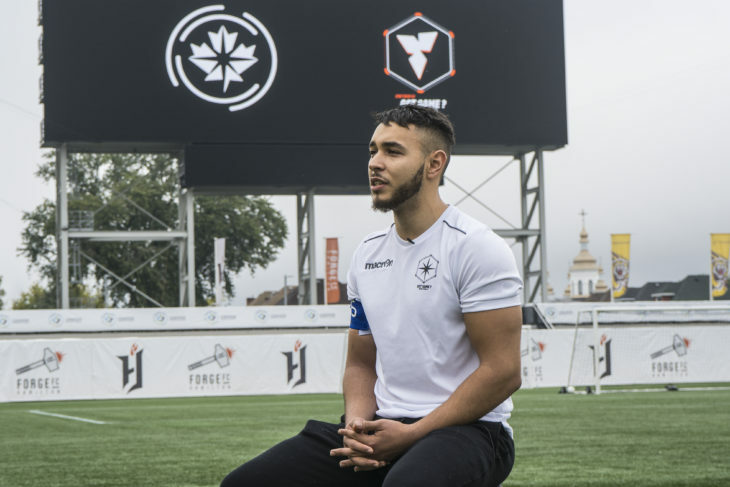 “This is my hometown — Steel City,” Ilyass, 20, proudly told CanPL.ca following a standout two-day performance in front of CPL coaches, scouts and top brass. Who knows where Ilyass will be this time next year. Positive initial impressions, of course, must be backed up a second and third and fourth time. We’ll eventually learn if Ilyass will be invited to a CPL club’s preseason camp. On this night, though, it must have been surreal for the Hamiltonian, who stood near midfield, arms folded, taking in one of Canada’s top stadiums, knowing people now recognize his name. These Open Trials have confirmed what CPL brass presumed before the start of this coast-to-coast talent search: There are unearthed players, in every province, who just need an opportunity, consistent playing time and somewhere to develop. This after bouncing between Uruguay, Canada, Morocco and university over the previous four years in pursuit of a dream that’s yet to materialize. It’s a pursuit that began four years ago, when an assistant coach with Canada’s men’s national team sent Ilyass and a teammate to Uruguay for a months-long training stint. At 18, Ilyass went on trial in Morocco — his family’s country of origin — with CAF Champions League qualifiers El Jadida. Back to Canada he went, attending the University of Ottawa while attempting to stay fit in advance of his next opportunity. 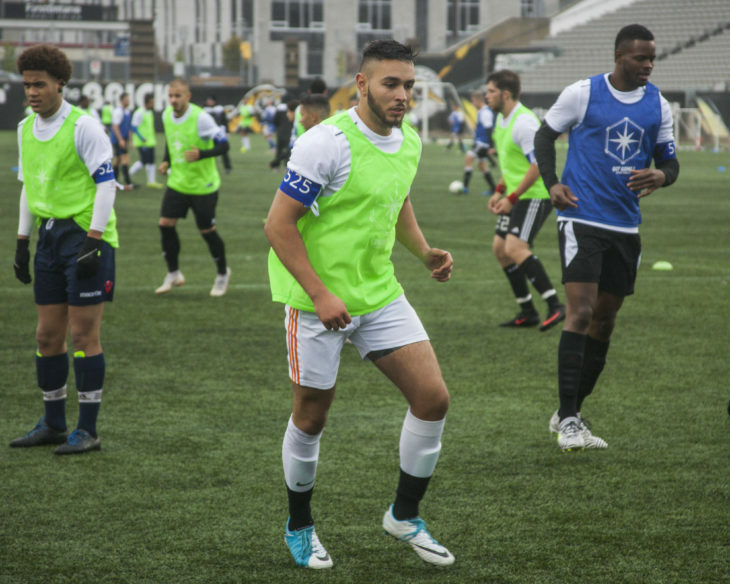 When a second stint with El Jadida didn’t bear fruit this summer, Ilyass returned to Hamilton, where he’s been suiting up with a competitive men’s league team. He’s been waiting for this week’s opportunity after learning of the CPL last year through the local Ottawa news. When registration for these trials opened in August, Ilyass said a few buddies sent him the registration link. He was one of the first to throw his name in the hat. The question now is whether he impressed CPL coaches enough to earn a recall. At least one CPL coach identified Ilyass on Day 1 of the Hamilton trials as having unique tools for a 6-foot, 197-pound striker. “He gets on the end of everything,” the coach told CanPL.ca during a break in the action. His physicality, his hold-up play, is just one aspect of Ilyass’ game. The 20-year-old also showed an ability to turn, get in behind and finish. What’s more, the CPL’s Kinduct physical testing system ranked Ilyass No. 8 overall out of more than 200 trialists. His agility testing was “impressive” for his size, a data analytics expert with the league said. “I try and be versatile in my game,” Ilyass added. “I don’t mind dropping. I think a striker should be able to play technically and should be able to play with his back to net or facing the net, making those runs. Asked if the combination of size, power and technical ability makes him unique, Ilyass suggested he’d wait and see what happens when the league heads to York Region next week, followed by stops in Winnipeg, Calgary and Vancouver Island. “I haven’t seen the other strikers (in Halifax and Quebec),” the humble forward said. “I’m confident in my abilities, but I’m not arrogant,” Ilyass added. “I know what I can do with the ball. I’ve been doing it my whole life. It comes natural. I don’t think about it too much. I just came (into these trials), put my head down and focussed on myself. Although his CPL future remains to be seen, Ilyass departed Tim Hortons Field on Tuesday confident he had put in a good shift. “This could be my opening chance,” he finished. “If this league didn’t happen I’d probably just be training and waiting for another opening abroad. I’m really thankful this is happening.